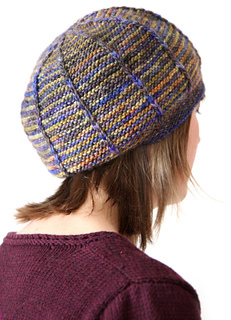 A slouchy, garter stitch hat in an easy, two-colour stripe and slip-stitch pattern. 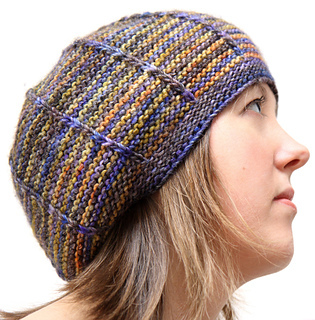 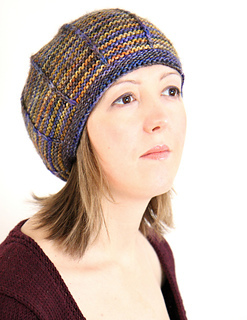 The hat is designed to show off the beautiful colour effects of hand-dyed yarn. 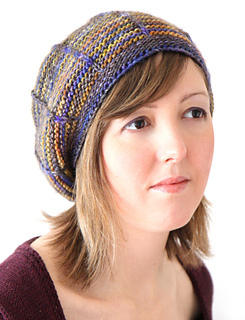 Knit it to suit your tastes – add more slouch or make it fitted, two colours or one – it’s up to you! 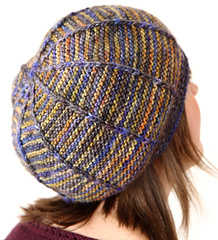 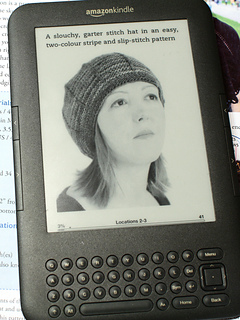 The hat is worked in the flat and seamed, and is suitable for novice knitters familiar with knit and purl.